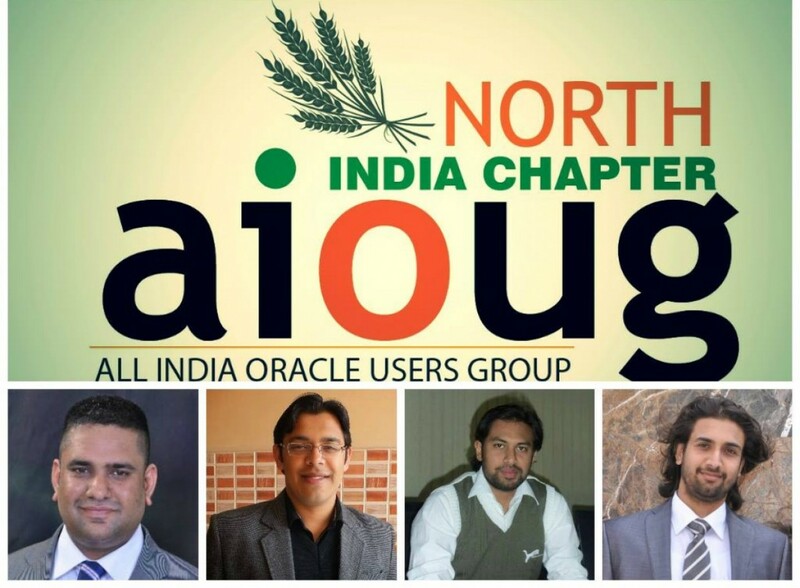 First Tech Meet of the New Year – 31 Jan 2015 – Official Blog of North-India Chapter(AIOUG)…. As promised we are back in this New Year with out First Event. This time we are organizing the even in Chandigarh. We are happy to announce that there are new speakers who will be joining us this time. Its a pleasure to honor new speakers and get knowledge from them. Also apart from heavy and vast database side, there will be sessions on other technologies like Java. This time we have topics like Web Services and Java Collection Framework which are very good topics. 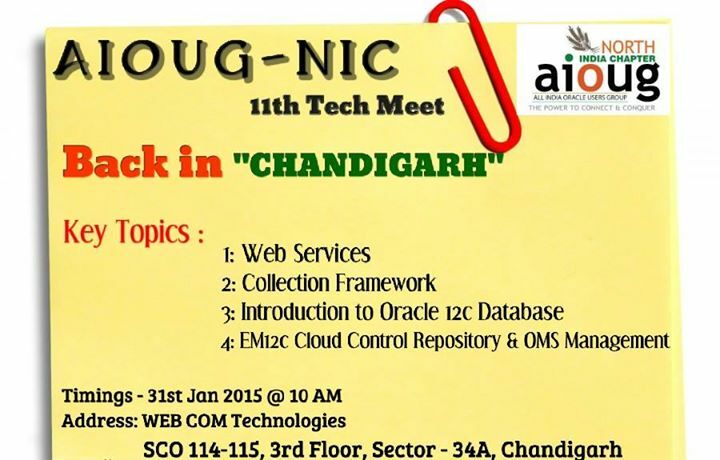 Hope to see you all at Chandigarh on 31 Jan for first Tech Meet. Below are the details of the session and Venue. See you soon at Chandigarh. Previous Post Wishing You All A Very Happy Near ! !